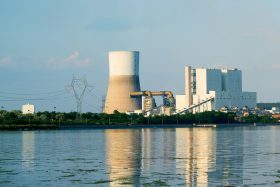 TPP AES Galabovo had gross generation of 3.5 million MWh of electricity in 2018, as indicated by an analysis of the performance results of the most advanced coal-fired power plant in Southeast Europe. The electricity generated by the two units of the 690-MW capacity was in perfect synchronicity with the needs of the country’s energy system and the dispatched regulations. According to the data, in 2018, TPP AES Galabovo provided with its operation nearly 9.1% of the electricity consumed in Bulgaria. At the same time, Bulgaria’s state-of-the-art coal-fired power plant provided the full spectrum of balancing and real-time management services for static and dynamic sustainability of Bulgaria’s power system. Thanks to its technological flexibility, TPP AES Galabovo was used for 8200 hours in primary control mode and the average annual operation in secondary control was 13 700 hours. This again shows the key importance that TPP AES Galabovo has for the national energy system. In 2018, the power plant used 5.2 million tons of lignite coal from the Maritsa basin, which, as a local resource, not only contributes to Bulgaria’s energy independence, but also leads to reducing the need of fuel imports and guarantees the employment of nearly 2000 miners in the largest state mines in Bulgaria. 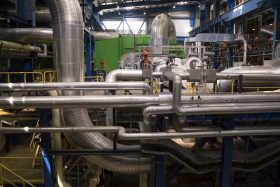 As a result of the responsible attitude to the environment and the implemented advanced technologies, last year the most environmentally-friendly coal-fired power plant in Bulgaria achieved an average annual desulfurization efficiency rate of 98%. For the same period, TPP AES Galabovo disposed of around 2 million tons of ash and gypsum, treated in the most ecological way at the Waste Disposal Facility with a responsible attitude to nature.